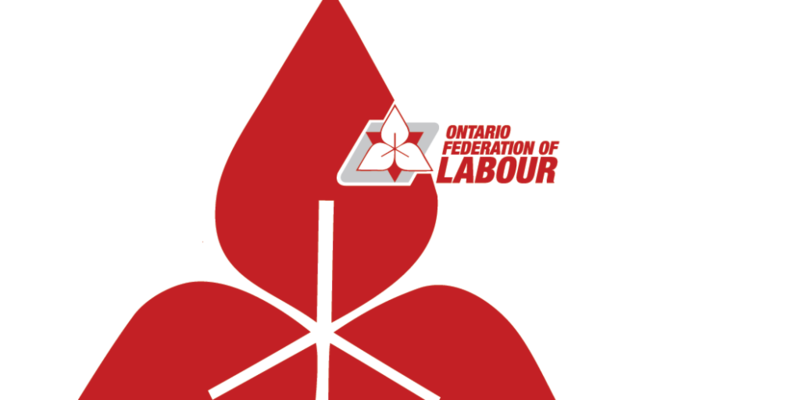 (TORONTO, ON) – By passing Bill 66, the government is showing its disdain for the workers of Ontario, says the Ontario Federation of Labour. “From increasing the number of children allowed in home-based daycare facilities, to reducing labeling requirements and reporting on toxic substances used in the workplace by employers, this government is playing with the lives of Ontarians,” said Buckley. Under the PC law passed yesterday, businesses in Ontario can now use overtime averaging to pay workers for fewer of their overtime hours. The law also allows reduced reporting of toxic substances in workplaces and communities, and deems public entities as ‘non-construction employers’, opening the door for non-union companies in the construction trades to bid on and build public infrastructure projects. It also stops requiring the employer to post the Employment Standards Act in the workplace. PC government cuts and privatizations have weakened and removed workplace and environmental protections, cancelled important programs, instituted a hiring freeze in the public service, cut funding to key public services like education and social service supports, and moved toward merging, closing, and privatizing health care delivery services.